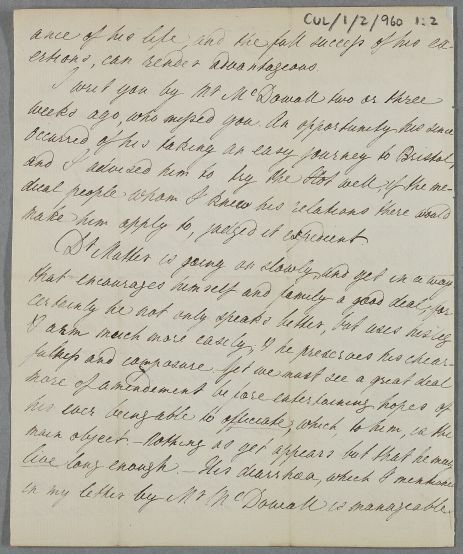 Letter from John Gilchrist concerning the case of Mr Mackenzie, and giving a report on the progress of Mr McDowall and Dr Mutter. 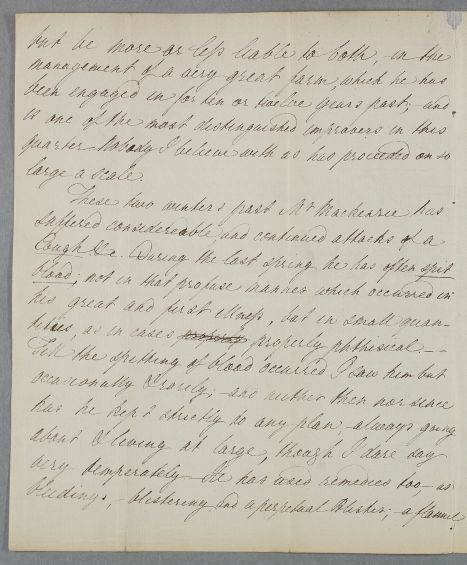 He also notes seeing Miss Balmain in Galloway "in a very poor state indeed". 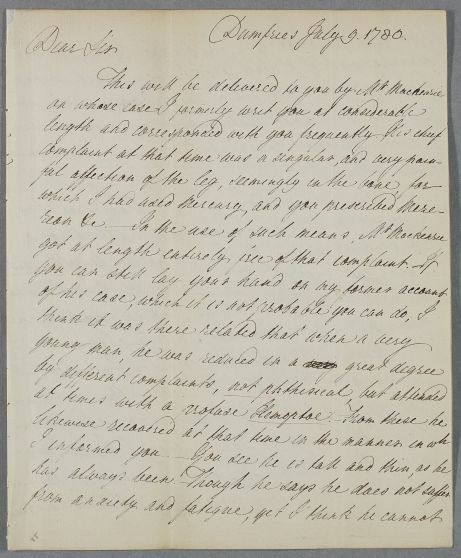 Summary Letter from John Gilchrist concerning the case of Mr Mackenzie, and giving a report on the progress of Mr McDowall and Dr Mutter. 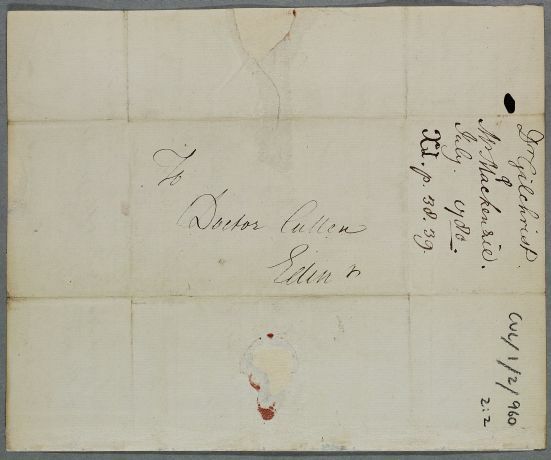 He also notes seeing Miss Balmain in Galloway "in a very poor state indeed". 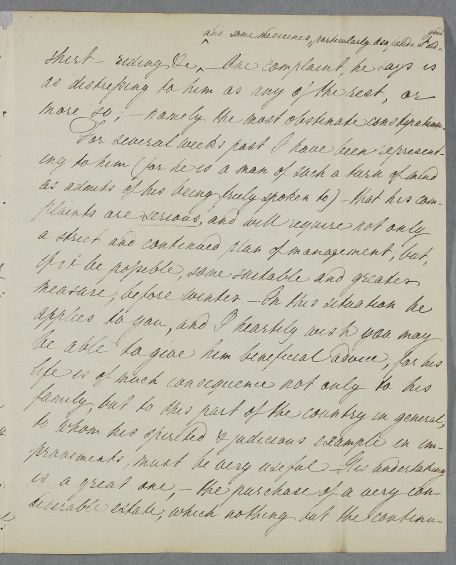 Case of Miss Balmain who has long been delicate and is advised to travel to Galloway via Moffat (see earlier consultation as Case 802). more so; - namely the most obstinate constipation. make him apply to, judged it expedient. 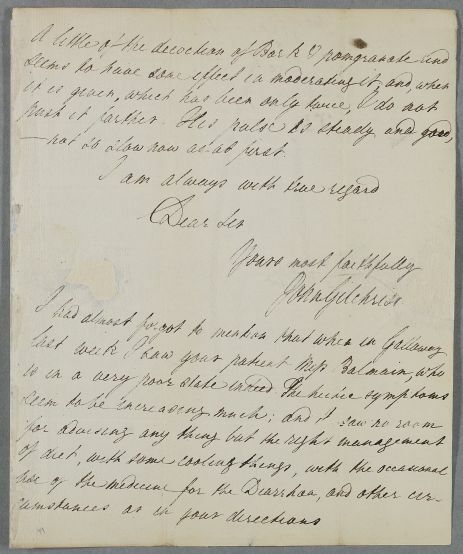 in my letter by MrDowall is manageable. ---- not so slow as at past. cumstances as in your directions.